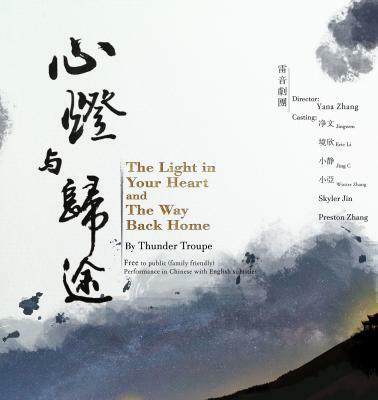 Thunder Troupe presents The Light In Your Heart & The Way Back Home, a story about the human pursuit of inner light and life. Archetypal stories unfold on stage, such as the one about a girl whose sincerity illuminates a lamp that burns eternally in memory of her parents. Another tale depicts a wayward son who reunites with his father and his true self via the guidance of compassion and enlightenment. Audiences gain inspiration when hearing the legend of a lowly barber who shares with a prince his precious dream to relieve pain and suffering in human existence. The members of Thunder Troupe receive no professional acting training, and when they gather on the stage, they play spontaneous roles to portray themselves as seekers of light. Thunder Troupe members showcase their actual searches for light and present the hardships and transformations they have experienced along the way.